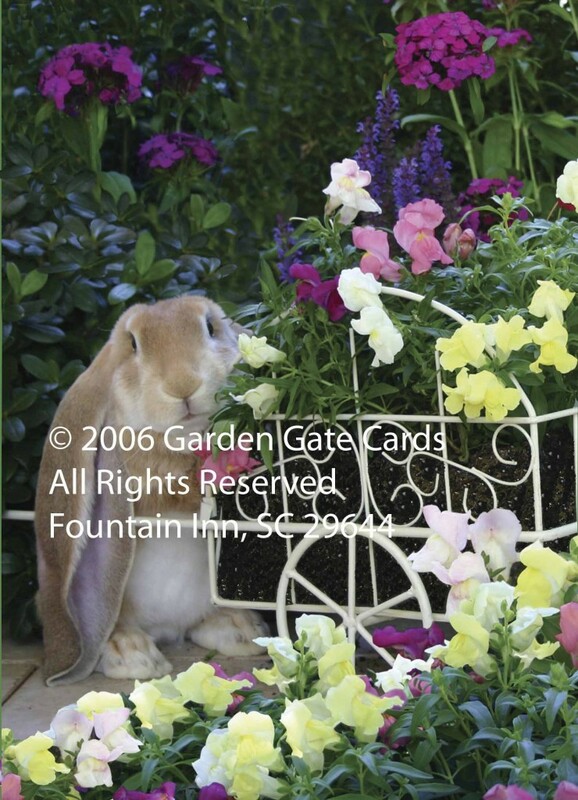 English Lop rabbits grow up to be large rabbits but are always as sweet as they look. 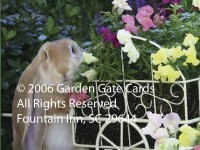 Here our fawn lop is posing with a cart of snapdragon blossoms. People seldom see a pose like this! Add this card to your collection so that you can enjoy it again and again!